My characters often take hackneys. It wasn’t a classy way to travel, but the vehicles were ubiquitous, as one of the links in this post indicates. Also, it’s a preferred mode of transport for someone who's traveling incognito. But what were hackneys like? At this time, there were two different varieties of hackneys. The other is a hackney cab (or cabriolet), which looks a bit more like the hansom cabs that appear later in the century. 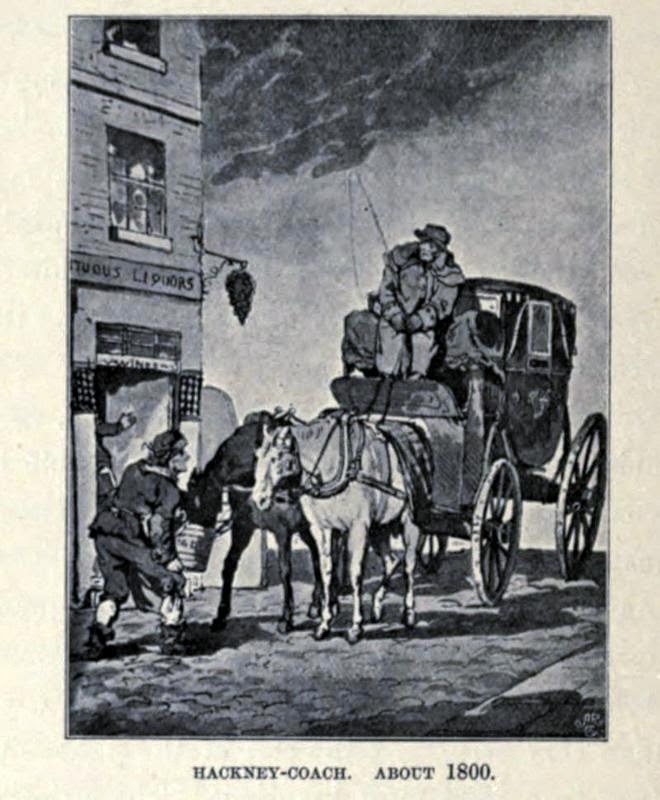 Dickens distinguishes between the two, but elsewhere the hackneys seem to be lumped together as a mode of public transportation. 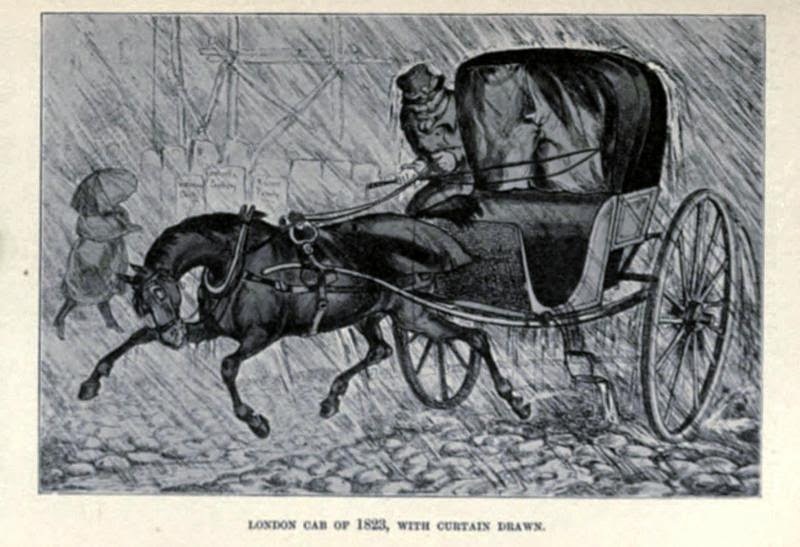 Images are from Henry Charles Moore, Omnibuses and cabs, their origin and history 1902, courtesy Internet Archive. Clicking on the image will enlarge it. Clicking on the caption will take you to the source.